There are many reasons kids should play outside, from running freely to making a mess without worrying about dirtying the house. 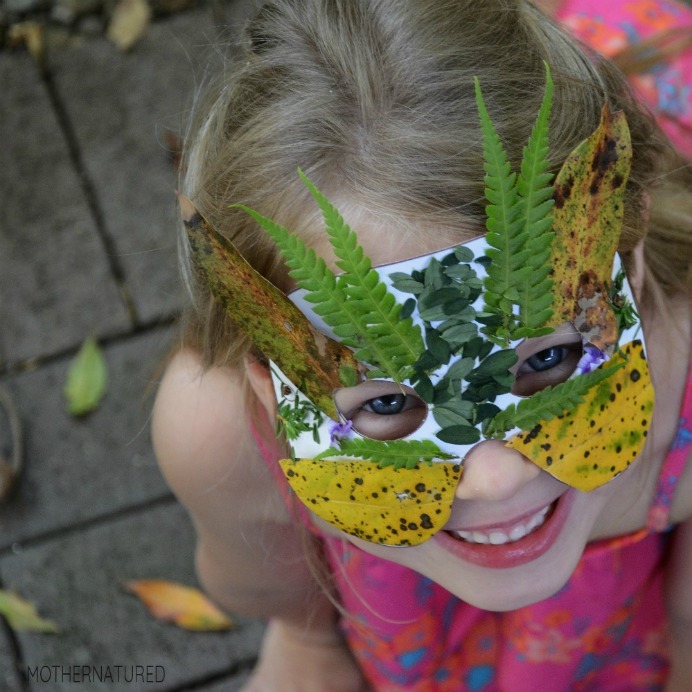 Nature is also a great source of material for play and creative projects! 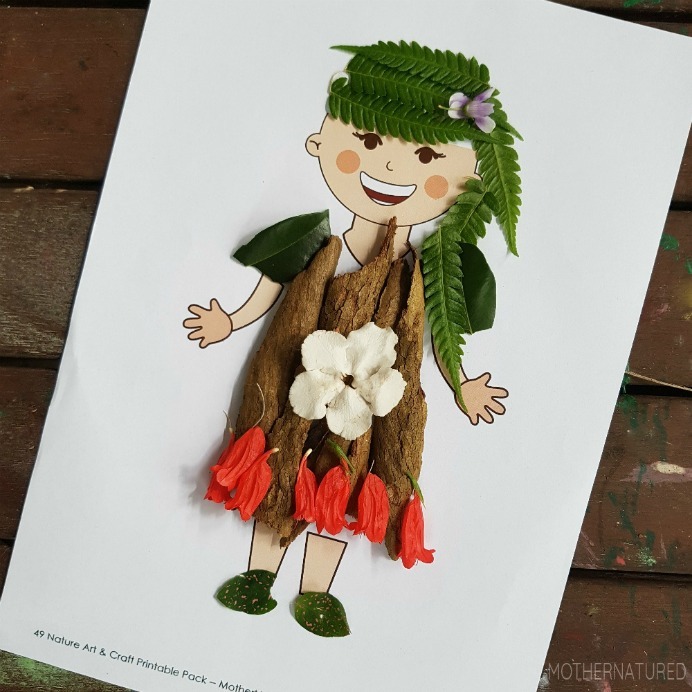 My daughter loves to collect bits of nature while we’re playing in the park and I’m sure to come home with pockets full of leaves, pebbles, flowers and other materials. At home, she then makes sure to put every flower in a separate small cup that serves as a vase and stores all the pebbles on her shelf. 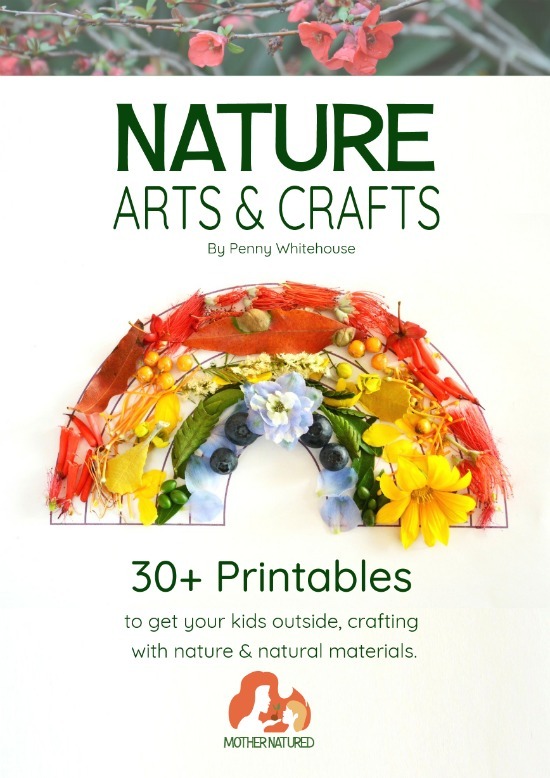 We got this fun Nature Arts & Crafts pack, with more than 30 printables and we were really excited to use some of these bits of nature to make unique crafts with it! 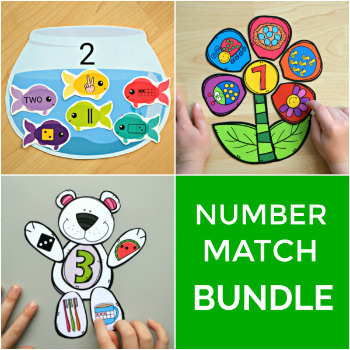 These printables are made as an activity you can quickly whip out and for most of them, you only need paper, scissors, glue + nature and you’re ready to start creating! 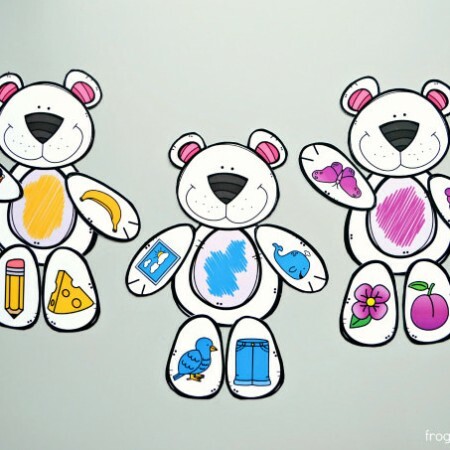 There are a lot of fun printables in this pack, so we had a hard time deciding, which we want to create first with. 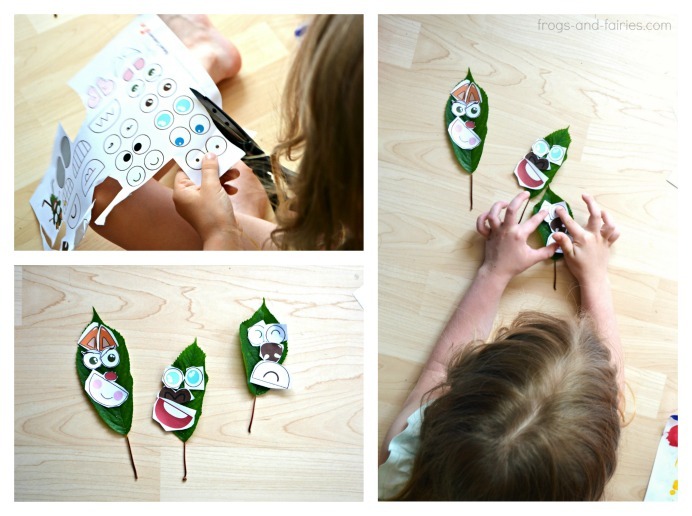 Since we brought a lot of leaves at home, we decided to make some fun Nature creatures! 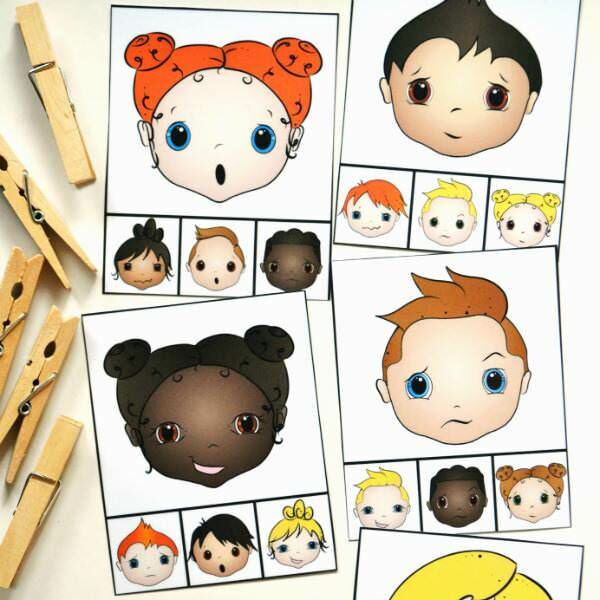 First we cut out the printed facial features, which my daughter wanted to do herself. I love how excited she was cutting different eyes, noses and other funny features herself. Usually, I’m the one that she asks to cut for her. 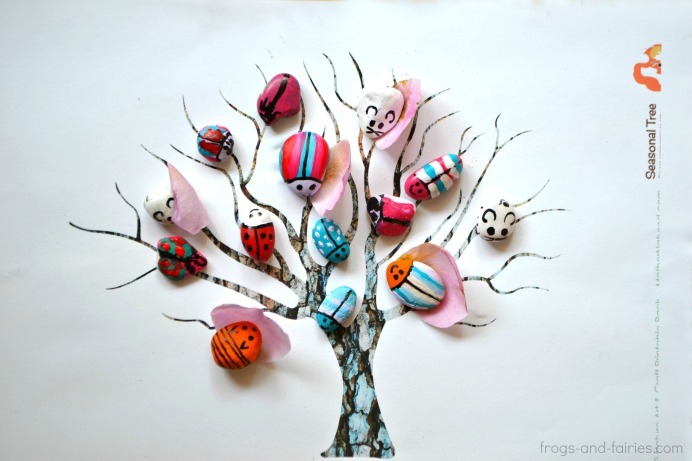 We also decorated a tree with pink rose petals and pebbles, that we painted into colorful bugs. 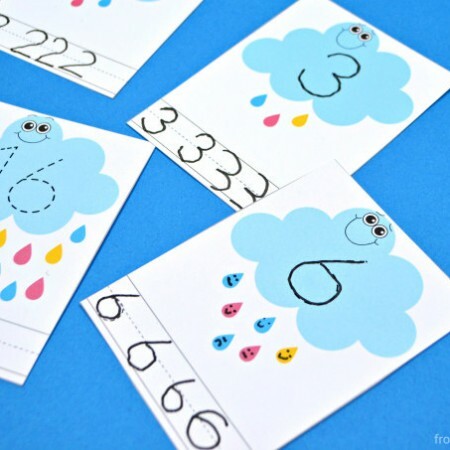 It’s great how a simple project can inspire so much creativity! We are excited to try them all. 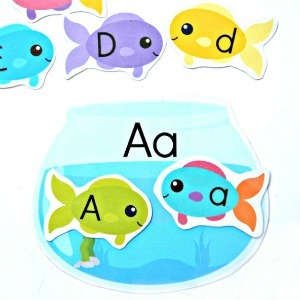 What I love the most about this printable pack is, that kids can do these projects again and again and each time they come out differently. 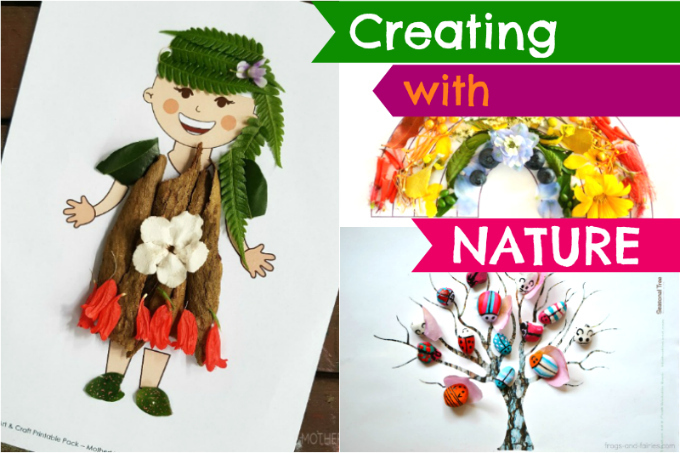 Check out this video for more fun creations with Nature Arts and Crafts! We had a lot of fun with this pack already! I think it’s perfect for summer, since kids will probably be spending a lot of time outside. If you think it’s something your kids will enjoy as well, click here to learn more and to purchase the pack. Looking for more summer creations with nature? Check out this fun Ocean sensory bin adventure or make a whimsical sand fairy garden for kids to play with!